This ongoing body of work is an active means of connecting with my immediate environment and of coping with a terrifying political and social landscape. My plein-air practice is a commitment to staying awake and celebrating my sentient existence while documenting our fleeting natural world. 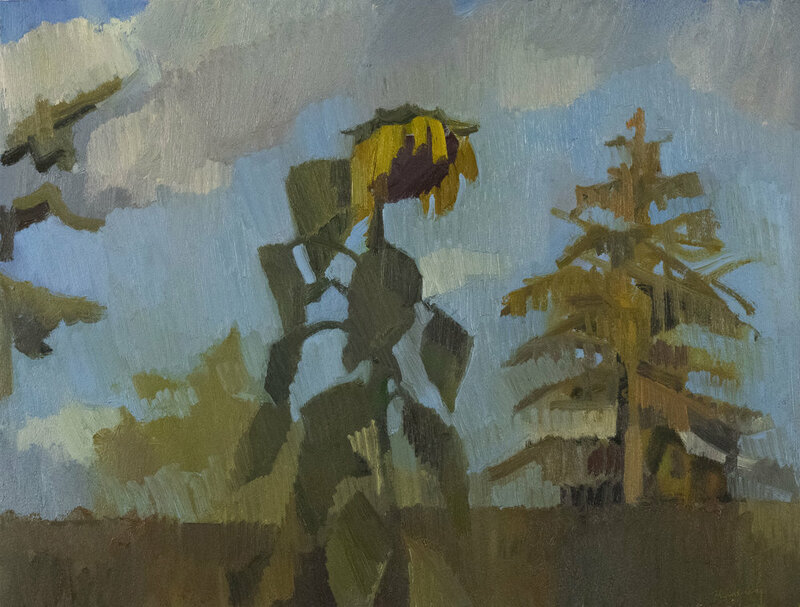 These paintings are a deep and humble return to nature and observational painting. In particular, they are an honoring of the specific color-key of the PNW palette. Paradise is here. Smokebush, Oil on Canvas, 60” x 72,” 2018. Private Collection. Top Hat Frieze (tonal), Oil on Paper, 16" x 24," 2018. Backyard Hemlock, Oil on Canvas, 22" x 26," 2018. Private Collection. Hemlock & Fence, Oil on Canvas, 14” x 18,” 2018.